After several months of planning to spend a few months in warmer weather this winter, we changed our plans and decided to stick around the northwest. January was going pretty well, then a family emergency called me back to the east coast right in the middle of their deep freeze. It went from -6 on Thursday Jan 31 to 60 on Feb 5. That burst of spring was very short lived. Saturday it was back down to 25. 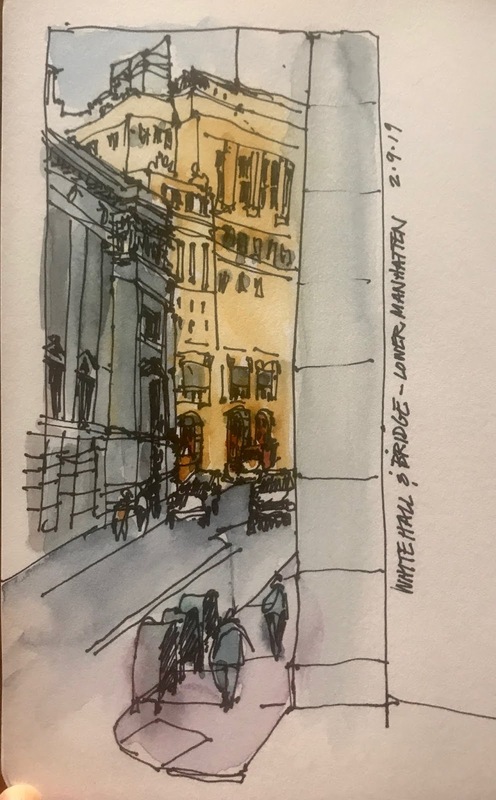 The New York City urban sketchers, however had scheduled a perfect location for a winter outing that day. And since family matters had settled down I was able to spend the day with them. We met up at the former Alexander Hamilton U.S. Custom House now Smithsonian's National Museum of American Indians in lower Manhattan. 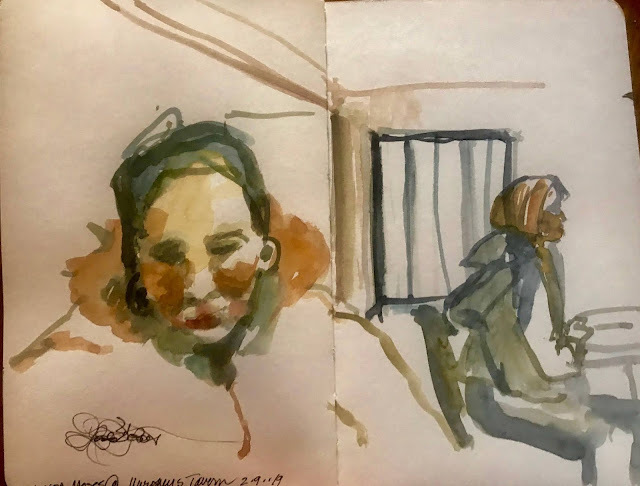 I was able to sketch a couple of fellow subway riders on the way before finding the massive building in Bowling Green near Battery Park and Wall Street. NYC urban sketchers meet from 10 to 3 every Saturday (!) so we broke for lunch and I found this peek-a-boo view from the restaurant window. 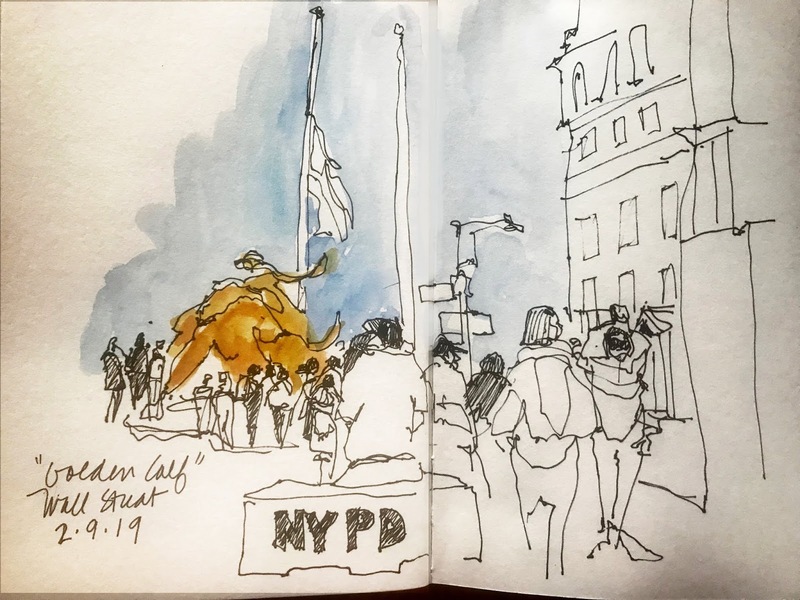 After lunch I braved the twenty-five degree afternoon to watch folks lining up in front of the Charging Bull. The sunshine helped for the fifteen minutes I stood there as did two down coats and my Uggs and fingerless gloves, but it was a quick sketch. 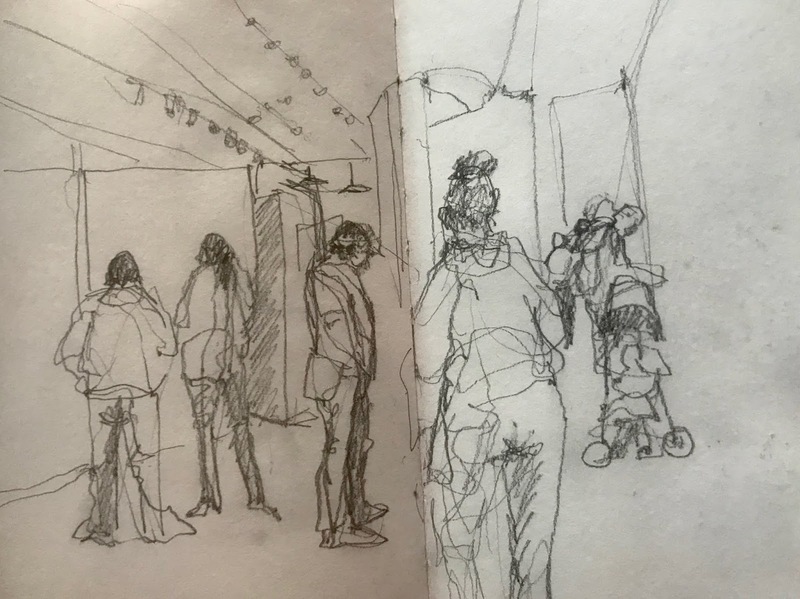 I went inside to thaw and watch the people watching the exhibitions. The "afters" was held at Murphy's pub around the corner where, New York USK style is to have everyone present their sketches show and tell style. 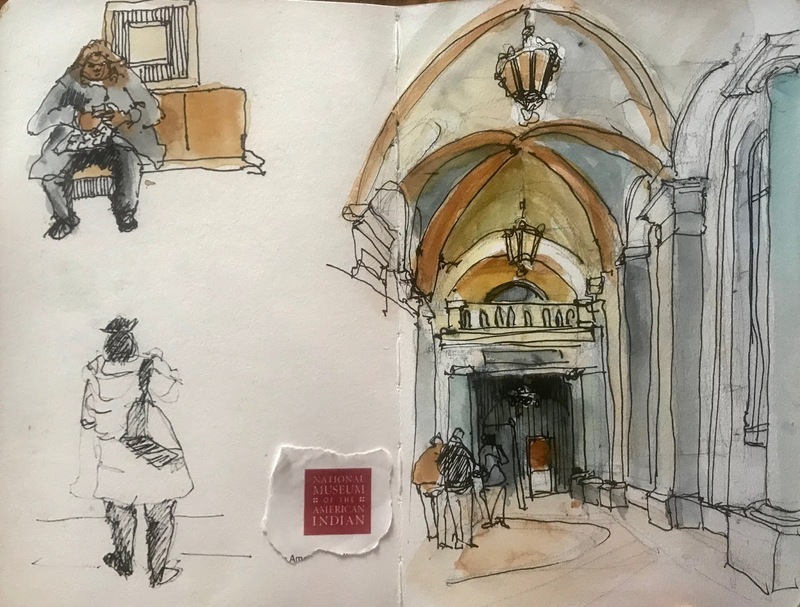 Since I had missed their portrait party the previous weekend so I thought I'd throw in a belated offering, my tablemate, Linda Moses who had come to join urban sketchers for the first time. So the best laid plans of wintering in the tropics has had many bright spots and hopefully more to come.